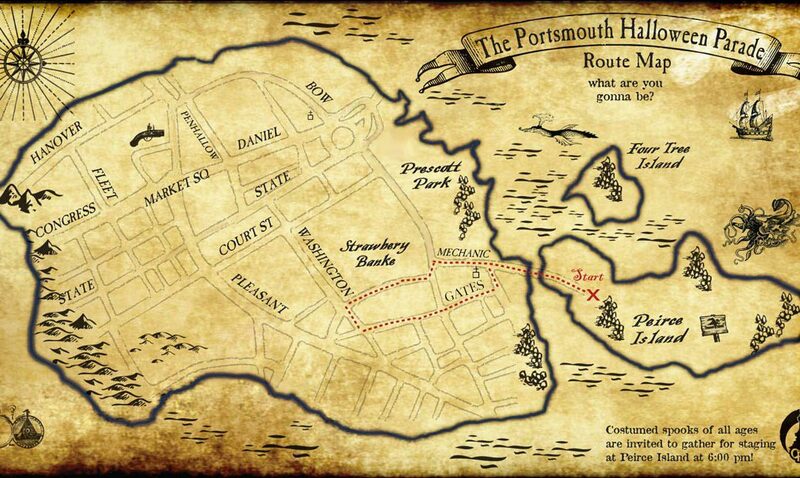 In a stunning break from tradition, the Portsmouth Halloween Parade today announced that it would be changing its route significantly in the run-up to the parade this evening. After leaving Peirce Island, the parade will veer south onto Marcy Street, then turn right onto Mechanic Street, then loop back to Marcy by way of Gates Street. The parade will repeat the loop until everyone is too tired to continue. South End residents expressed dumb concern over the change, citing a lack of sidewalks for spectating, noise and potential damage to their historic ghost-filled homes. City officials were overwhelmed with emails Monday, but admitted they are powerless against the Grand Marshall. Paranormal watch dogs expressed approval of the route change. Ben Anderson could not be reached for comment.